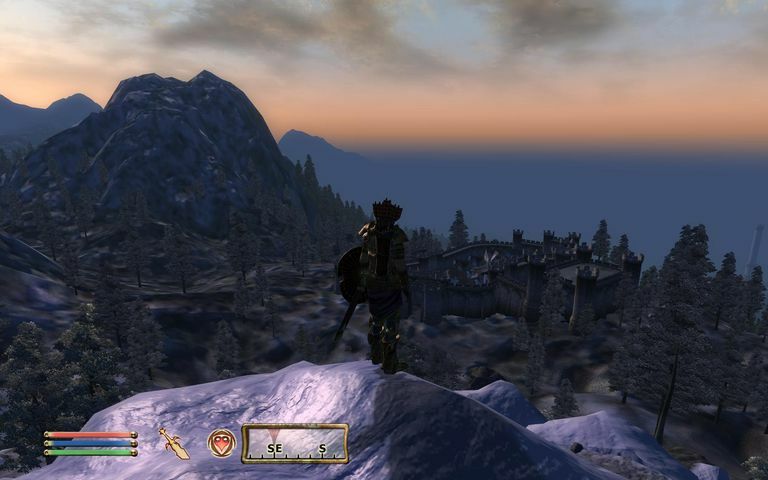 The Elder Scrolls IV: Oblivion is the fourth installment in the Elder Scrolls video game series by Bethesda. Below is an index of Oblivion PC Give Item codes and how to correctly enter them. Be sure to also visit our main Oblivion PC cheats page for more codes, cheats and tips for this game, as well as these Oblivion user submitted hints. The codes listed below and found in the linked pages are the give item codes for use with the player.additem cheat code. The syntax for any code should be entered as player.additem ITEMCODE 1. One of the seven Magical Arts skills in Oblivion is Alchemy. With it, you can make potions and poisons by understanding how different ingredients work. However, the strength of your poisons and the price for making them depend on your skill level. A tool used to make potions is called an Apparatus. There are five quality levels called Novice, Apprentice, Journeyman, Expert and Master. Armor in any game, including Oblivion, is worn on the body to shield it from attacks. Light armor and heavy armor are the two types of armor you can wear in Elder Scrolls IV: Oblivion. The level of damage imposed by arrows in Oblivion are determined by the quality of the arrows and bows, the amount of power put into the launch of the arrow and the Hero's Marksman level. Some arrows can be retrieved if they bounce off the creature, otherwise, they might be included in the enemy's inventory. These are the types of arrows you can use in Oblivion, in order of damage (from lowest to highest): Dremora Field, Iron, Steel, Silver, Dwarven, Dremora Barbed, Elven, Glass, Ebony and Daedric. There are over one hundred books in Oblivion and some grant a certain skill or quest while others teach a spell or add a new map location. Some might even just exist for your own enjoyment. Magic scrolls, on the other hand, are like spells that work just once. See our list of Oblivion Ingredient codes to see how you can get items for making potions. These ingredients can be used with Alchemy apparatuses as well as be eaten. They can be bought from vendors or taken from plants or dead animals. Non-player characters (NPCs) are not controlled by the player but by the computer. You can use one of these NPC codes to spawn NPCs in Oblivion. These are extra things you can wear in Oblivion. Clothing is really any apparel that doesn't have an armor rating and is therefore labeled as 0 (zero). Amulets are worn around the neck and might be found in ruins or chests, or on bandits. This type of magic stone can store the "soul" of a creature. They're also used to recharge magical weapons and create new enchantments. You can find Soul Gems by looting mages and necromancers as well as purchasing them from various merchants. Mages can manipulate reality when they use spells. These are the six spell types by school that are available in Oblivion: Alteration, Conjuration, Destruction, Illusion, Mysticism and Restoration. Weapons are tools used to invoke damage on people and creatures. They're made from steel, glass and other materials. The damage and speed of a weapon in Oblivion is determined by the material it's made out of, its weight, its strength and the character's skill. If you want to change the weather patterns in Oblivion, you can use a weather code. These item codes are for the Shivering Isles expansion pack (also called Realm of Madness and The Madhouse). It expands the realm into three parts called Mania, Dementia and The Fringe.